In a recent article, Are You Ready to Start Giving to Charity?, Mint.com gave some guidelines for when and how you should give to charitable organizations. I’m particularly sensitive to some of their reasons and reasoning because of a series our church recently did on generosity. I wish I could say that I am shocked by the self-centeredness of this advice, but I’m not. Particularly, I’m reminded that in a worldview where we have to look out for ourselves, there really isn’t any room for generosity unless it is self-serving – that is, unless the generosity promotes my own agenda or well-being. 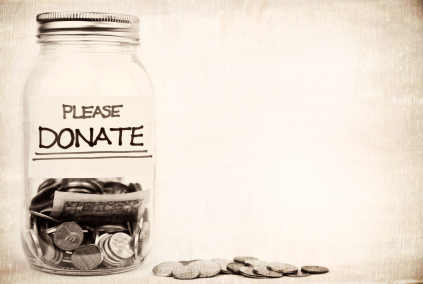 “Charitable giving isn’t about finances,” the article reads. That’s because there’s no financial gain to giving money away. This much is true. It really is a moral decision. For Christians, generosity isn’t prompted by an emotional plea or the promise of a tax receipt/deduction. It is motivated by the fact that God has been so generous to us. Christ Jesus became poor for our sakes that through his poverty we might become rich. The Gospel inspires generosity, not just self-gain. We could answer the above question, “yes, ‘life’ has been good to me no matter what my situation because Jesus gave up everything to bring me to God.” Therefore, we are generous. On top of that, in his book Free of Charge, Miroslav Volf raises the question, “what if God gives to us not so that we might receive, but so that we might pass on the gift to another?” In other words, what if we are the dispensers of the gift instead of its intended recipients? This would then introduce a moral imperative to generous giving. Evidentially, it may make more sense than we’re comfortable with given the growing disparity between the wealthy and the world’s poor. We can be generous even at our own financial loss because God has provided for our every need and because he has given to us so that we might provide for the needs of another. Mint.com certainly would have never conceive of such an explanation, and I wonder how many of us would be just as taken aback. In God’s economy, the Gospel motivates generosity, not our balance statements or tax returns. ← Who knows where empowerment could lead?